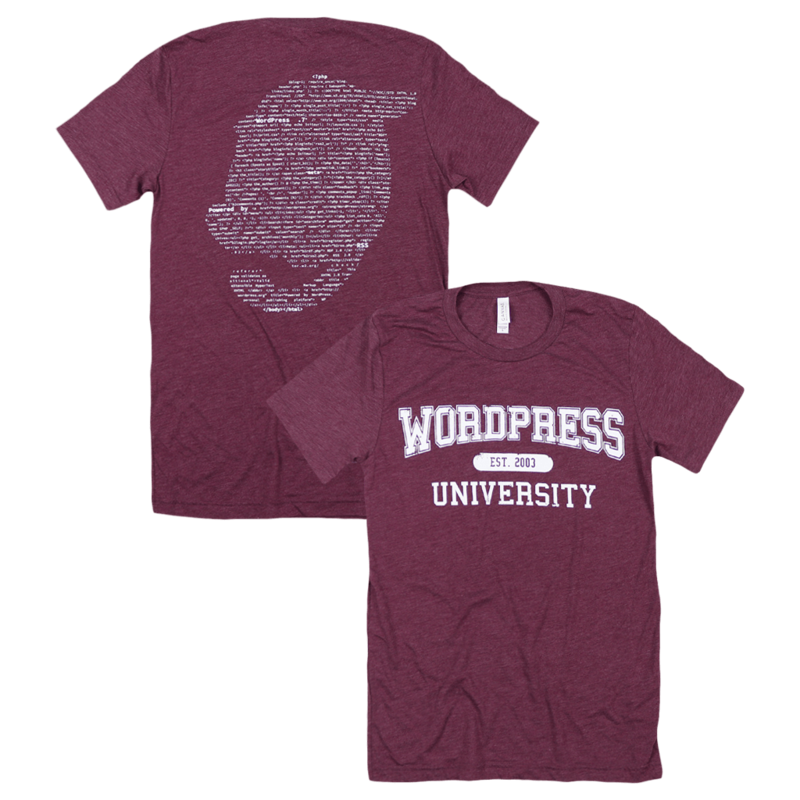 It’s not unusual to hear a WordPress community member say, “I first learned how to code in WordPress.” As an open environment where anyone, and everyone, can learn the foundations of software design, WordPress has been liberating computer science education from the ivory towers since 2003. 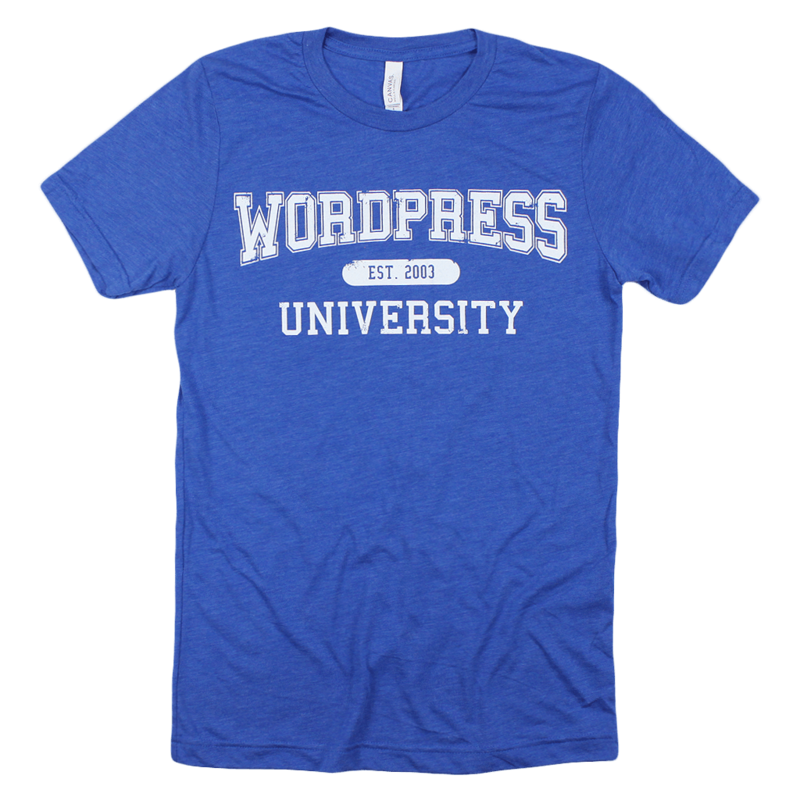 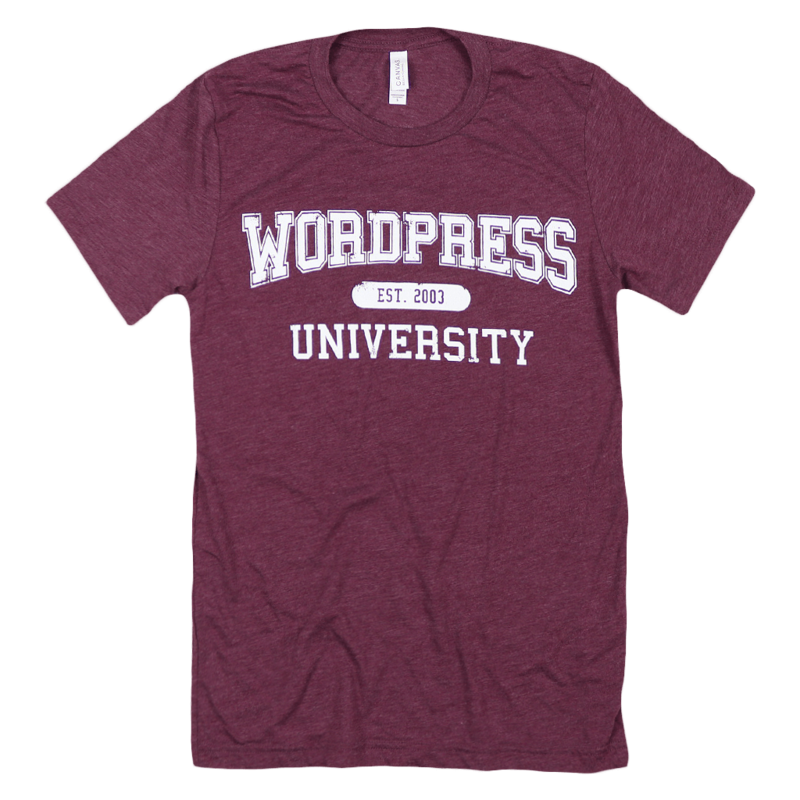 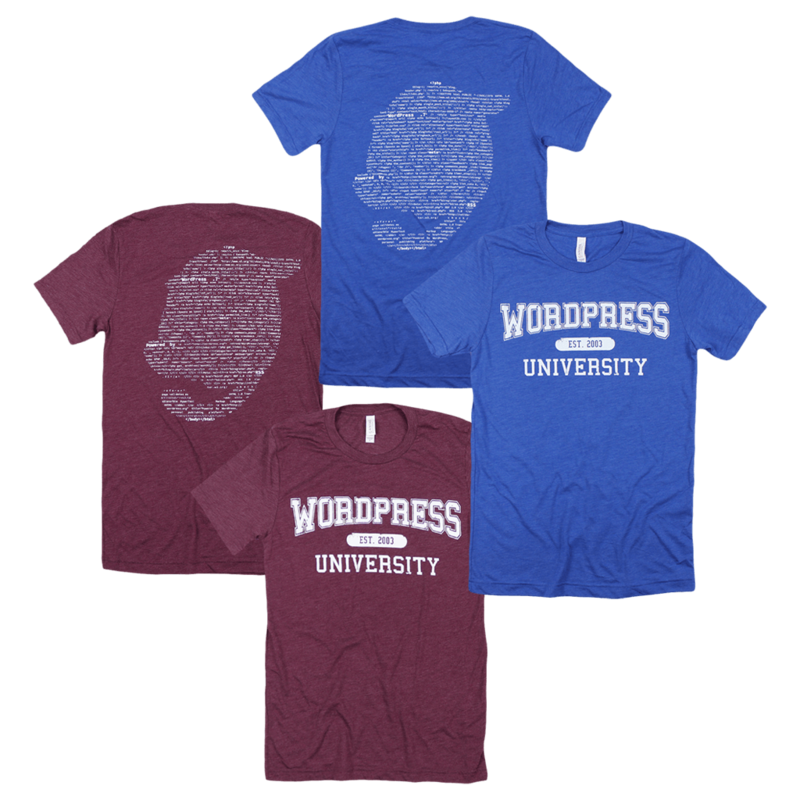 In the spirit of back-to-school season, we celebrate the many self-motivated learners who constitute “the alumni” of the virtual, inclusive campus that is WordPress. 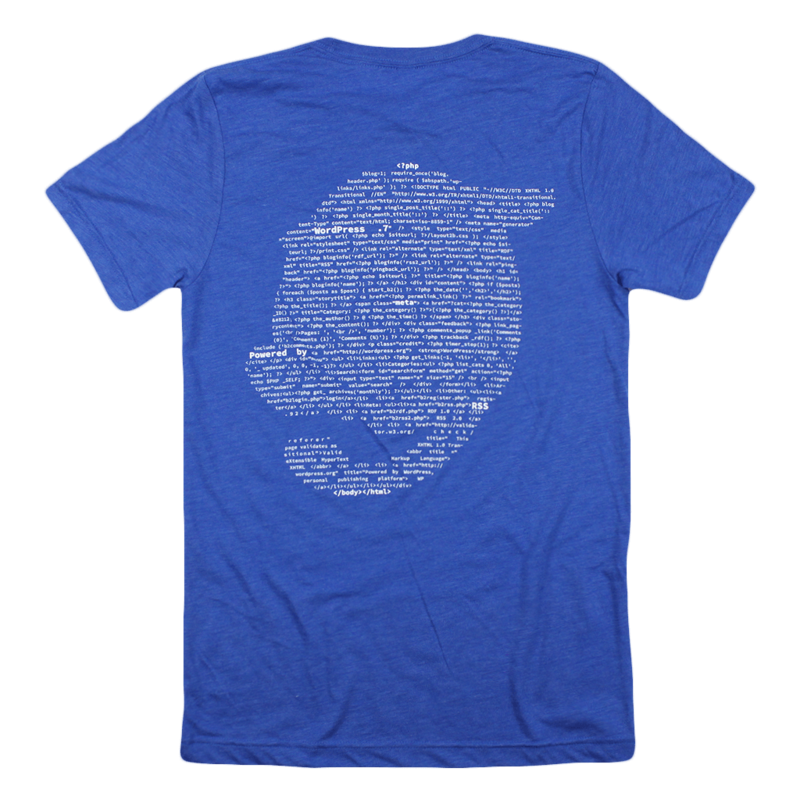 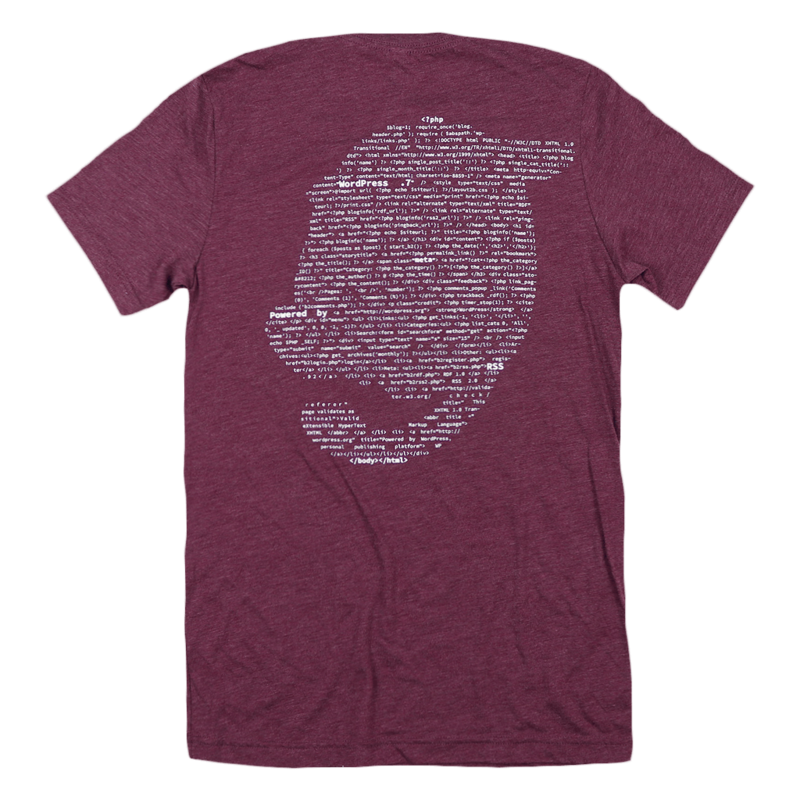 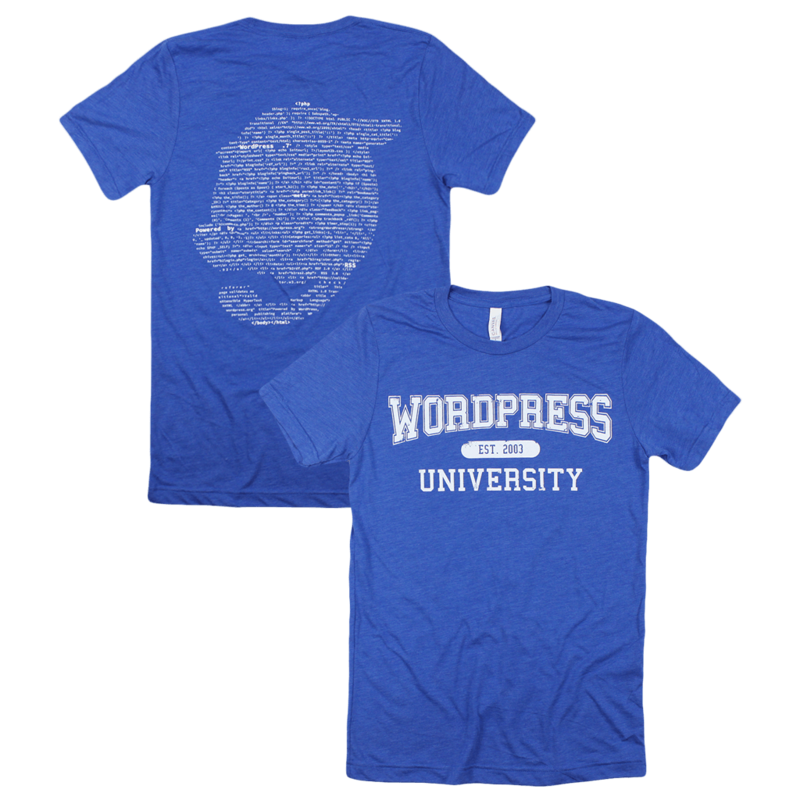 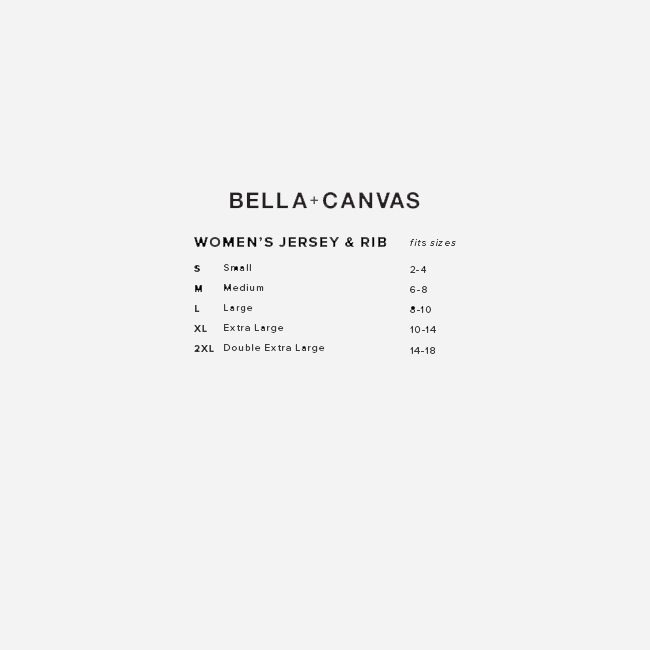 This t-shirt was designed by Mark Uraine, with the back graphic styled as a Wapuu silhouette using the original index.php code from WordPress 0.7.